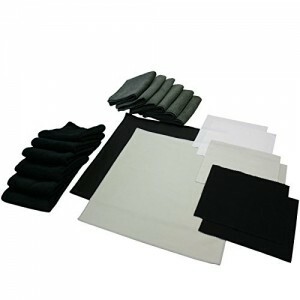 The Best Gun Cleaning Cloths; Does yours spread dirt or pick it up? Colored – use different colors for cleaning, dusting or lubricating. Cheap – 20 piece bundle for $22…will last many years of cleaning multiple guns. You can wash them too! 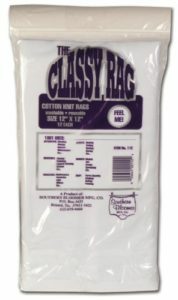 The Classy Rag from Southern Bloomer. A++ customer service – unhappy with your purchase?…contact Southern Bloomer and they will take care of you.